Our oceans are our most valuable asset, as they’re responsible for life on our planet. While they provide water for all our needs, our oceans are also home to some of the most amazing kinds of sea creatures. 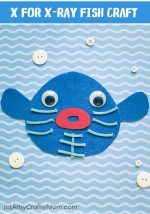 With Mother Ocean Day on 10th May and World Oceans Day coming up on 8th June, this is the perfect opportunity to check out our Montessori-inspired Printable Under the Sea Theme Shape Match for kids! Yes, our latest printable is a shape match, to help toddlers and preschoolers learn about shapes with some cheery sea creatures – including a cute mermaid! 1. First you need to download and print the Under the Sea Shape Match Printable. This is a PDF document that you download and print. Once payment has cleared, you will be able to download your file immediately. 2. 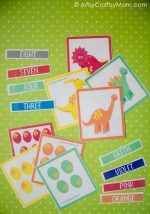 The printable consists of 10 sea creatures, one on each page as well as 10 shapes on a separate page. Once you’ve printed out all the sheets in color, it’s recommended to laminate them, so that they are durable enough to withstand hours and hours of play. 3. Prepare the surface with a large plastic sheet or newspapers. 4. There are many ways to play with your Under the Sea Theme sheets. The first is the shape match, for which you need to cut out the shapes from the sheet. Hand over the shapes to your little one and let her match them to the pictures. 5. 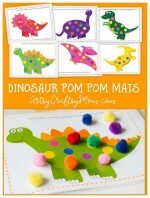 The next option (and messier one) is to use the sheets as play dough mats. This is where you’ll be glad you laminated the sheets! Pinch out small pieces of play dough and make shapes to match the ones on the picture. Make it more challenging by matching the color as well. 6. 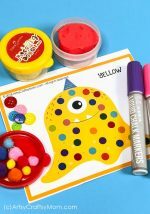 These printable Under the Sea theme sheets are an excellent learning opportunity, so make the most of it! Talk to the kids about the various creatures, telling them their names and explaining how they can live under the sea! 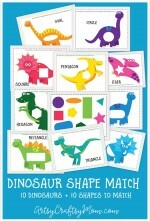 These Printable Under the Sea Theme Shape Match sheets are much more than just matching shapes! 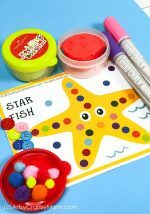 Kids can learn about shapes and colors as well as identifying different kinds of sea creatures. Trying to make the shapes with play dough is an excellent motor skill activity, and is also a good option for quiet time. Let our kids learn to appreciate all kinds of creatures – even the ones that don’t live on land!